The U.S. Supreme Court ruled this week in an important decision that mandatory arbitration clauses inserted by employers into employment contracts block employees from joining a class action lawsuit against the employer for wage theft or other violations of labor standards. The case is called Epic Systems Corp. v. Lewis. The decision has attracted considerable attention south of the border. The lead majority decision was written by President Trump’s recent appointee to the bench, Justice Gorsuch. ‘mandatory arbitration clauses’ that force contract disputes to an arbitrator and foreclose an employee’s access to the courts. The narrow issue in the Epic case is whether arbitration clauses block access to class action lawsuits for failure of an employer to comply with employment standards laws. Secondly, the case deals with a particular aspect of American labor law which has no parallel in Canada. It considers whether the American statutory right of nonunion employees to engage in “concerted actions” guarantees a right of employees to participate in class action lawsuits against their employer even if they have signed an arbitration clause. Here’s a quick run down of the decision. The “policy” debate he is referring to relates to the reality that employers, owing to their superior power that permits then to in most cases dictate terms of employment contracts, can avoid class action lawsuits simply by inserting an arbitration clause into every contract. The majority brushes that concern away. The opening sentence of the decision sets the tone: ”Should employees and employers be allowed to agree that any disputes between them will be resolved through one-on-one arbitration?” This language paints a picture of employer and employee voluntarily agreeing to refer their disputes to arbitration, and then one party (the employee) later rescinding on this agreement and trying to bypass arbitration. It is the Court’s role to hold the parties to their agreement and enforce the Arbitration Act, which requires arbitration agreements to be enforced. In the NLRA and its forerunner, the Norris-LaGuardia Act (NLGA), Congress acted on an acute awareness: For workers striving to gain from their employers decent terms and conditions of employment, there is strength in numbers. A single employee, Congress understood, is disarmed in dealing with an employer. See NLRB v. Jones & Laughlin Steel Corp., 301 U. S. 1, 33–34 (1937). 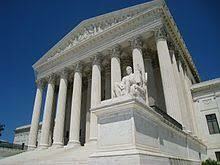 The Court today subordinates employee-protective labor legislation to the Arbitration Act. In so doing, the Court forgets the labor market imbalance that gave rise to the NLGA and the NLRA, and ignores the destructive consequences of diminishing the right of employees “to band together in confronting an employer.” NLRB v. City Disposal Systems, Inc., 465 U. S. 822, 835 (1984). The ability to bring a class action lawsuit for group violations of labor standards is one way that employees can band together. But Epic Systems confirms that employers can easily avoid that mechanism simply by writing into all of their standard employment contracts a mandatory arbitration clause. Another way that employees can band together to meet their employer’s gaze is through collective, concerted action. Unionization and collective bargaining are the most obvious manifestation of the exercise of collective action, and since the 1930s, American labor law has protected a limited right of workers to combine and to engage not only in formal collective bargaining through a union, but also to engage in “other concerted activities for the purpose of …mutual aid or protection”. In Epic, the plaintiffs argued that the statutory right to engage in concerted activities is effectively blocked by a ruling that prevents class action lawsuits and requires instead litigation of individual complaints via a private arbitration mechanism. In other words, the plaintiffs argued that the labor relations statute (the NLRA) prohibited mandatory arbitration clauses insofar as they blocked the right of workers to join together in bringing a class action lawsuit against their employer for labor rights violations. That argument was dismissed by the majority, which ruled that the NLRA was not intended to prohibit employers and employees from agreeing to refer their disputes to arbitration. Rather, the NLRA protection of concerted activities is primarily concerned with collective bargaining and “self-organizing”. The Epic Systems decision raises some interesting comparative law questions for us north of the border. Let’s begin with the basic question of whether an arbitration clause could prevent Canadian employees from bringing a class action lawsuit against their employer for labour violations. Mandatory arbitration clauses in employment contracts are less common in Canada. But they do exist, and may become more common, and Canadian courts have enforced them. I have only looked at Ontario cases. See for example Morrison v Ericsson Canada 2016 ONSC 3908 (CanLII), where the court stayed a constructive dismissal lawsuit filed by an employee because the contract required arbitration in Texas. Also Robert v. Markandu, where the court stayed a wrongful dismissal lawsuit because the contract required arbitration of contract disputes. The recent Canadian case most similar to Epic Systems is Heller v. Uber Technologies decided earlier this year. In that case, the plaintiff filed a class action lawsuit on behalf of Uber drivers alleging multiple violations of the Ontario Employment Standards Act. The contract the driver signed with Uber included an arbitration clause requiring contractual disputes to be heard by an arbitrator in Amsterdam. The plaintiff argued that Uber drivers were employees and therefore covered by employment standards legislation. Justice Perell of the Ontario Superior Court stayed the action, ruling that the arbitration clause must be enforced, even in the case of alleged violations of employment standards legislation and even though he acknowledged that employees “have no bargaining power” and therefore that the employer can effectively impose mandatory arbitration clauses on employees. Perell ruled essentially that it was up to the government to legislatively block mandatory arbitration clauses for public policy reasons, which in the case of the ESA, the government had not. The arbitrator in Amsterdam could decide whether or not an Uber driver was an employee and therefore covered by the Ontario ESA. Therefore the class action lawsuit was stayed. More so than in the US, I think it reasonable to expect that Canadian governments (especially a Liberal or NDP government) will be open to legislating a ban on forced arbitration clauses in contracts of adhesion, including employment contracts. Canadian nonunion employees would have an even weaker freedom of association argument than the plaintiffs in Epic. That’s because Canadian labour law does not protect a stand alone right to engage in “concerted activities”. A group of nonunion employees who engage in collective actions related to work but who do so on their own, without any union involvement or aspirations, are not protected by labour relations legislation. You can see why this matters by looking at some American cases. This post by Professor Ben Sachs & Sharon Block on OnLabor describes several cases involving nonunion workers who engaged in collective action and were protected by the NLRA right to engage in “concerted activity”. One involved 18 employees fired for participating in pro-immigration protests. Another involved a group of nonunion workers who created a YouTube video criticizing their employer for safety issues. Twitter or other social media campaigns by nonunion American workers designed to pressure for better working conditions would also be protected concerted activity in the US. The classic example is Washington Aluminum, where nonunion employees walked off the job to protest the temperature in the factory. In all these cases, the fact that the nonunion workers acted in concert for a purpose related to their jobs meant they were protected from reprisals by the NLRA. None of these direct employee actions would be covered by Canadian labour relations statutes’ protection of “union activities”. And certainly there is no argument to be made that a group of workers bringing a class action lawsuit against their employer are protected by labour relations legislation. … the scope of NLRA § 7’s protections is critically important to workers’ collective action in the contemporary labor market, and so the Court’s future direction on this subject matters enormously. Indeed, for the vast majority of workers who are not currently in a traditional union, and who may never have the opportunity to join one, the scope of § 7 activity outside the union and collective bargaining context is all that matters. Thus, a definition of “concerted activity” limited to traditional union organizing and bargaining would leave all of those workers with no protection when they try to stand up for themselves. This is an important observation for the Canadian context. During the recent review of labour laws in Ontario, a number of organizations and scholars (including me) argued that the Liberals should introduce a Canadian version of Section 7 of the NLRA, that protects the right of workers to engage in “concerted activities” in aid of better working conditions. That idea was dismissed by the two commissioners hired to propose changes and by the Liberals. As Canadian private sector union density continues its decline, this question of whether nonunion workers should have a right to protected “concerted activity” separate from the right to engage in “union activities”, will become more important. American labor law scholars expressed relief that the Epic case did not directly attack the idea that “concerted activity” includes more than just the right to unionize and engage in collective bargaining. Yet fears remain that a right wing Supreme Court may move in this direction in the coming years. Most Americans are not aware that Canadian law does not protect a general right to “concerted activities” for private sector workers. If the US Supreme Court does move to narrow the scope of “concerted activities”, by ruling that it really only protects collective bargaining and union rights, then we would witness an unusual example of American labor law mimicking a less expansive Canadian model. This is definitely something to keep our eyes on.